And, It's A Great One! 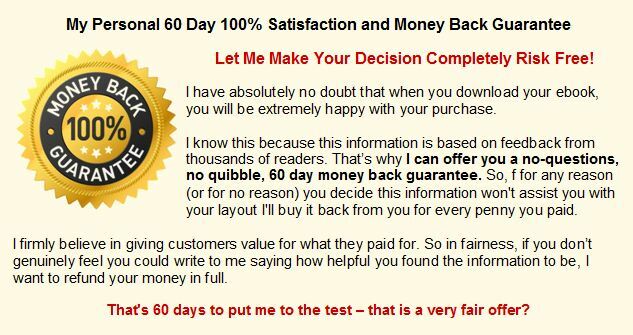 * With Option #3 you get the Getting Started In N Scale Model Railroading e-book PLUS the Space Saving N Scale Track Plans e-book (together worth $64.00) ... PLUS it allows you instant access to all the resources in Level #1 of the popular Online Model Train Club PLUS with this BONUS OPTION you'll also get access to download these 5 EXCITING BONUS GIFTS (total bonus package $187.90 value). The Online Model Train Club is a month-to-month membership. You may have a look around the club and if you decide to cancel within the first 30-days you will not be charged again. Otherwise you can stay on as a member for another month ($27 mth) and still keep the 5 bonuses (even if you do cancel), or you can keep your membership for 2 months, 3, 4, 6 months, one year, or for as long as you want. The choice is yours! You'll gain access to more and more helpful resources each month. Membership is just $27 month and you may cancel in any month and you will not be charged again. 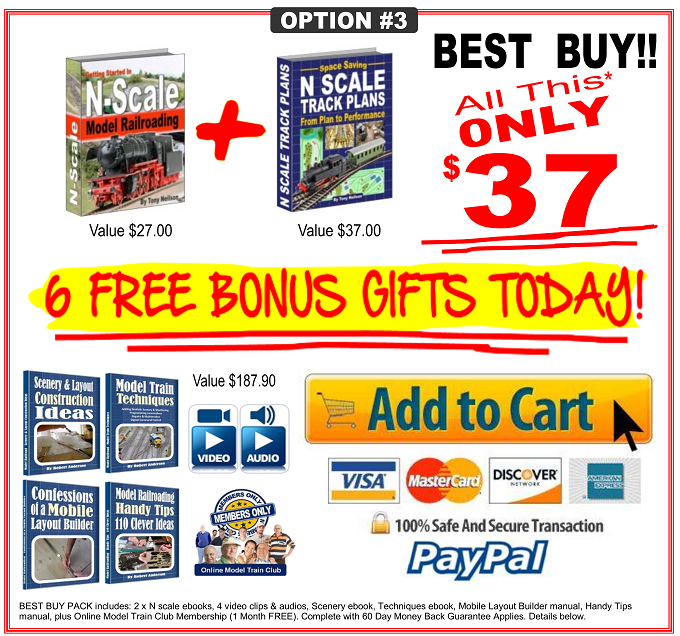 For just $37 today you can get instant access to both the "Getting Started in N Scale" ebook (value $27), PLUS the "N Scale Track Plans" ebook (value $37), PLUS the other 6 FREE BONUS GIFTS (value $187.90)! Your initial charge will be $37. You will then be charged $27/month until you cancel anytime after your initial charge has been made. or any claim, statement or opinion used in promotion of these products..